Oialla chocolate is an organic Danish chocolate, made from wild, Bolivian beans. The cocoa trees grow in the Amazon on the border between Brazil and Bolivia. 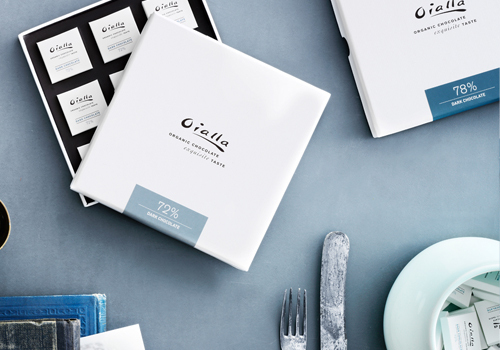 Oialla is chocolate in the purest imaginable form and we control the process from bean to bar. Master chocolatier Rasmus Bo Bojesen and his partner Pernille Lüzthøft founded the company in 2010. Danish Ministry of Foreign Affairs supports the project and Oialla works closely together with the Bolivian cocoa company Sumar. The partnership secures fair wages, higher living standards and education of the indigenous population in rural Bolivia. Rasmus Bo Bojesen and Pernille Lützhøft dreamt of creating their own organic chocolate. Rasmus Bo Bojesen was a trained chocolatier and worked professionally with chocolate for years. But they couldn’t find organic cocoa of sufficiently high quality. The search went on for years. One night while attending a dinner party a Danish producer of organic cereals told Rasmus Bo Bojesen about wild cocoa trees growing in the Beni-province of Bolivia. By chance the Danish Foreign Ministry hosted a conference in Bolivia and Bojesen got an invite.